Dr. Patrick Henry is from the southern Ontario town of Fort Erie. He attended the University of Western Ontario where he graduated with honours in physics and philosophy as part of a combined major degree program. His medical degree was obtained at the University of Sydney Australia, and from there he traveled to sunny Newark New Jersey where he spent 5 years completing his orthopaedic residency training at UMDNJ ‐ New Jersey Medical School. Upon graduation, he returned to Canada, completing an upper‐extremity/trauma fellowship with Michael McKee, as well as an AANA accredited fellowship in shoulder arthroscopy and arthroplasty with Richard Holtby. He then commenced his graduate studies at the University of Toronto, ultimately successfully transferring into the IMS PhD program where he continues to focus on the management of massive tears of the rotator cuff. Patrick’s primary research interests involve identifying and investigating interventions that optimize functional outcomes in patients suffering from advanced soft tissue pathology in the shoulder. 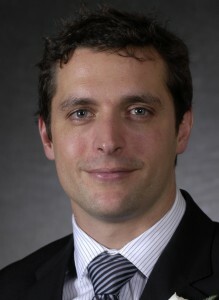 Over the past few years, Patrick has won several awards and received recognition for both clinical and scholarly activities, including receiving a scholarship to join the AAOS Clinician Scholar Development Program, after being one of only a handful of other young investigators identified as being among the brightest future orthopaedic surgeon‐scientists in North America.